FRI Recruitment 2019 - Walk in for JPF & FA Posts in Research & Coordination Section, FRI, Dehradun, Uttarakhand on Contract Basis. 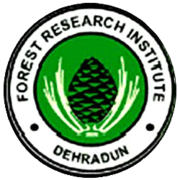 Candidates are invited by Forest Research Institute (FRI) to attend walk-in-interview to be held on 23 Apr 2019 at 09:00 AM for 4 vacancies. "Butterflies associated with different forest subtypes in Uttarakhand funded by ICFR " First Class M.Sc.in Zoology. Foresty and Environment Science/ Environment Management. "Butterflies associated with different forest subtypes in Uttarakhand funded by ICFR "
"Health Status Assessment of Avenue Trees along major roads of Chandigarh. Funded by Municipal Corporation. Chandigarh"
Eligible candidates may appear for interview along with duly filled application form in prescribed format and self-attested copies, and original documents for verification. The interested and eligible candidates must bring the copy of bio-data along with recent passport size photograph, self-attested copies of all educational certificates and relevant documents for submission to The office of Group Coordinator (Research), P.O. New Forest, FRI. Dehradun.